And it is not just about numbers but range. I have seen groups of young male students, young female students, exchange students, girls with short-shorts and makeup, girlfriends, boyfriends, tall players, short players, fat and skinny players. Competitive badminton clubs come here to train, and I often see children getting drilled by coaches or their parents. The older generations are major regulars at the gym too, whether they are university teachers, faculty, or just people from neighborhood. I hear of a group of 70 year old plus men who play here twice a week and are a force to be reckoned with. I watch him play and my stomach turns a knot. My wrist, for one, is in a brace, and I am effectively benched, my inner athlete left pining on the sidelines. Alas, after hurting my wrist in a fall more than two months ago, I am on doctor’s orders not to play. But that of course does not stop me from thinking, watching, reading and talking—anything, if not playing—to get a handle on the subject I have come here to understand. The scene laid out before me is in fact common throughout China, on college campuses and in the dozens of recreational gyms spread out across major cities. In rural China, kids can often be seen playing in the streets in good weather, with or without a net. And in the professional world, China dominates international competition. The Chinese swept the 2008 and 2012 Olympics for badminton and consistently produce some of the best players in the world. 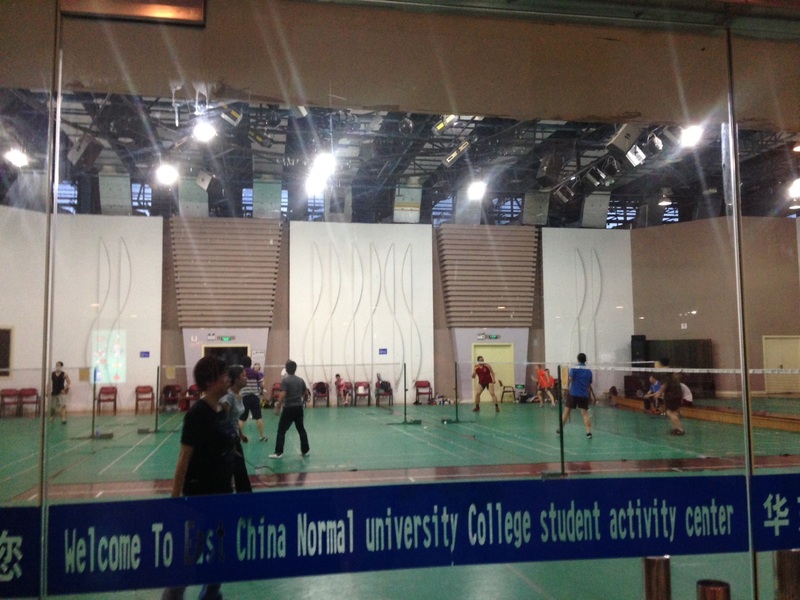 Indeed, badminton is one of the most popular sports in China—the question is, why? Is it something about the sport itself that has made it so popular? Or was it in the right place at the right time, so to speak, when China began investing huge resources in physical education and sports? And with badminton’s cultural footing clear and ubiquitous we must ask: what characterizes this culture? What does badminton promise the nation, its people and particularly its professional players? What sacrifices does it exact from them? Finally, how does badminton culture in China compare to the culture surrounding major sports in the US, which is as raucous and widespread as anything in American life? These questions are large and these blogs are not intended to be any kind of comprehensive response to them. Rather they represent my first forays into the subject, bolstered by the interviews, readings and observations of my ongoing journey. I expect them to be part essay and part travel-journal in nature, and my first hope is that they will be fun and informative for readers whose first idea about badminton may be as a backyard pastime. Badminton exists in that form as well in China, no doubt, but it also exists in city, province and nationwide competitions, intensive youth training schools, and, since 2008, Olympic matches cheered on by hundreds of millions of Chinese. A few days ago I had the extreme fortune of sitting in an upscale café across the street from Shanghai Sports University (SSU) and having tea with Dai Jinbiao, a badminton professor. Badminton professor? Actually, this sort of title is not as strange or rarefied as it may seem; in China there are such professors for all big sports and they usually teach at places like nearby SSU. Dai Jinbiao himself teaches there. Does this mean he studies the history of badminton, or conducts anthropological studies of badminton culture (that is, think about questions I am trying to think about)? Not a chance. He may be a wonderful resource for those sorts of questions but his primary job is to study the game, which means the papers he writes and publishes may, for instance, be about the men’s singles strategies of the top five badminton players in the world. That alone will tell you something about the national import of sports within Chinese society. This was not just any badminton professor too. 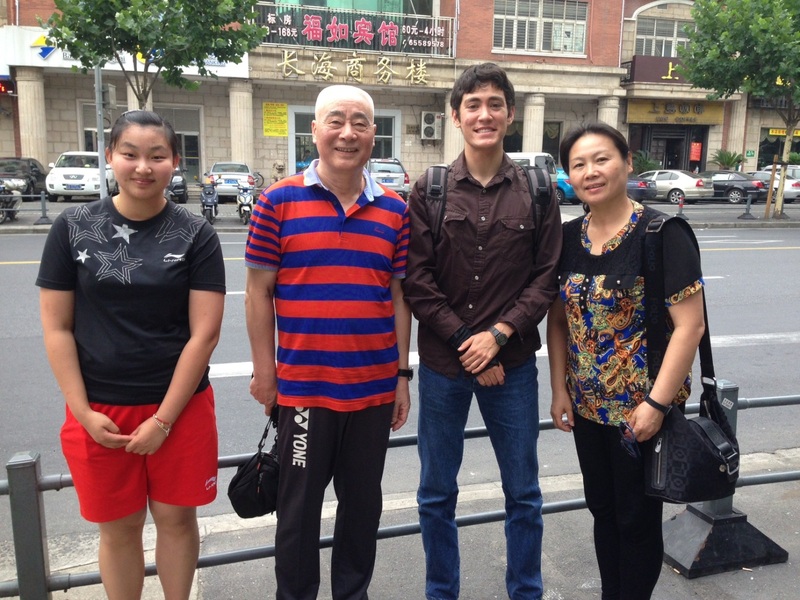 I had gone to meet Professor Dai with a few friends—Dingyi and Coach Ma. Dingyi is last year’s Chinese language scholar at Reed and has been a close friend and aid throughout this project; Coach Ma is her former badminton teacher. When I got into town Dingyi and I got in touch with Coach Ma and Coach Ma got in touch with Professor Dai, whose wife she had formerly been the colleague of. When Coach Ma first arranged the interview I hadn’t realized just how lucky I had been. But it was eventually explained to me that Dai Jinbiao is not just a professor, but the active trainer of coaches for the Chinese National team. He also helps advise on which strategies the team and top players should adopt in international play. 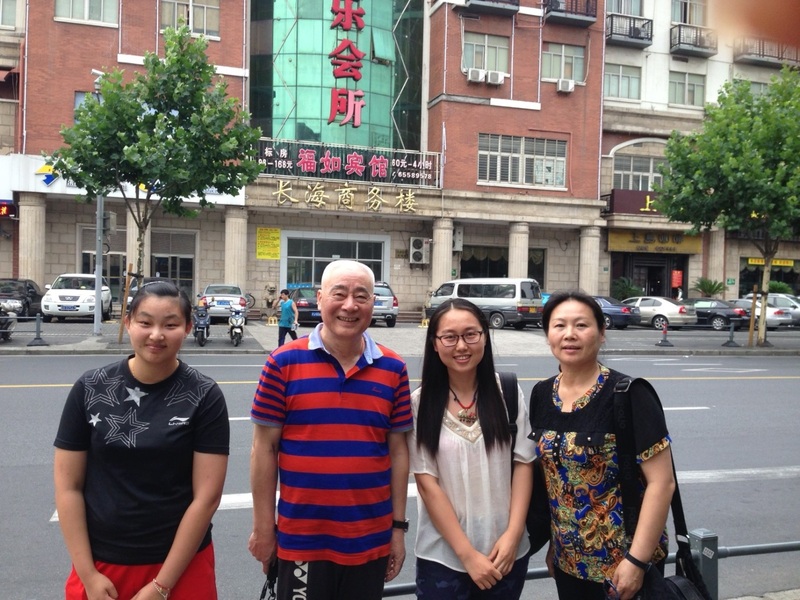 Professor Dai has been in the badminton world for some forty years, and through the help of some very extensional friends, Chinese guanxi (relationship ties) and quite a bit of luck I got the chance to ask him a few questions. Not to mention meet the young individual he happened to bring along for tea—a woman who had been on the National Team herself. One question I was sure to ask Dai Jinbiao is the question I mentioned just above—why and how has badminton become as big as it is in China today. But before we get to his answer, and some of the answers I have gleaned from talking with other players and teachers, I think it is important that we get a more general understanding of sports in China’s history. After all, badminton (or any of China’s other major sports) could not be as popular as it is now without the People’s Republic of China recognizing the value of sports in a much larger sense. The story of how badminton, Ping-Pong, volleyball or any other essentially Western sport made its way into Chinese society and onto its public and political stage is a fascinating one, and here I will devote some time to a short tour. Understanding this story should provide the necessary framework for understanding how any single sport has grown to prominence in the past 60 years. As guides I have Xu Guoqi’s Olympic Dreams: China and Sports, as well as Susan Brownell’s Training the Body For China—both of which highlight how densely interwoven is modern sport with modern Chinese national identity. From the beginning then, modern, organized sports left an important and lasting impression on the Chinese national psyche—first as direct means of strengthening the people and protecting the nation, and, in subsequent decades, as a significant metaphor for national revival and international recognition. The legacy of the “sick man of East Asia” cast a long shadow over China, and since sports’ inception in China in the early 1900’s they have been a key arena in which China has not only tried to abolish this legacy but reverse it. Both the Nationalist and Communist regimes recognized that sports have undeniable patriotic potential, and though motives were often plainly political, both sought to capitalize on this potential to the best of their abilities. Chiang Kai-shek wrote in 1933 that “sports [should be] used to save the nation” and when China sent its second ever team to the 1936 Olympic games it was indeed a sign of the country’s growing self-confidence and status as a nation-state (the 1932 games were important too, but at that point China had sent literally a one man team). And while the Chinese Communists purportedly ignored sports when they first came to power, in reality there was remarkable “continuity of participation and interest in sports across the 1949 political divide.” In fact, as popular sports were encouraged for producing a strong, industrious citizenry, competitive sports under the Communists were more unabashedly politicized than ever. From the 1950’s to the early 1980’s China refused to participate in the Olympic games because of Taiwan’s membership in them. And outside of the Olympics, sporting events were often used to openly promote political friendships with other socialist countries. China on several occasions purposefully lost international matches to demonstrate good diplomatic will, as when in 1963, foreign minister Chen Yi ordered Chinese athletes to “not take all the gold medals in badminton” when they played against Indonesia. A player literally had to be ordered to throw his match despite being far ahead, dumbfounding both his opponent and Indonesian announcers. While Mao himself was a serious enthusiast of physical education and sports participation, sports all across China were dealt a near fatal blow during the decade long Cultural Revolution. It was not until the political and economic reforms of the 1980’s that China leveraged serious financial and human resources to garner as many medals and as much prestige on the international stage as possible—“friendship first, competition second” was over. The 1984 LA Olympics, in which China took home 15 gold medals, was immensely gratifying to the reopened country. People called Xu Haifeng, the very first Chinese athlete to win gold, a national hero and his victory “just the beginning for we Chinese who have suffered so much to prove ourselves to the world.” And indeed the 84’ games were just the beginning for China, which has in recent Olympics challenged even the American superpower for medal supremacy. While modern sports originally struck China—as so many things in the late Qing period did—like a gunshot in a race their country was already late for, it seems they have not only caught up in recent decades but are vying for first place. A Question of Body Type? But this still leaves the question as to why badminton in particular, as opposed to tennis or any other less popular sport, has risen to nationwide prominence. Perhaps the best way to forge a path from this larger history of sports to the specific history of badminton is to look again at the abstract discourse on sickness and adequacy heralded by the infamous “sick man of East Asia” title. For since the Chinese first welcomed modern sports into their country’s doors, they have argued that Asians were generally not suited to compete in certain sports, like hurdles or sprinting. As a 2004 New York Times article pointed out, even today among the Chinese, the proposition that genetic differences have made Asian athletes slower in sprinting than their American, African or European rivals is a widely accepted maxim, if an unproven one. Is such racial stereotyping a vestige of the old Chinese bodily inferiority complex seared into their national consciousness by foreign powers at the beginning of this century? I think one could make a compelling argument. But regardless, such thinking has precipitating the obverse stereotype, that the Chines are “suited” to sports like “Ping-Pong, badminton and gymnastics that require agility and technique.” Even the Party’s chief newspaper, the People’s Daily, has cited this idea. When I visited Chongqing’s Southwest University of Political Science & Law two weeks ago, the university badminton team gave me answers on par with this conclusion. The team was quite strong, on average better than me, and as they rotated doubles matches I had one interesting conversation with a graduate student. He turned to me and said in English: “You asked why badminton is so big in China?” I nodded. “Body type,” he told me. I feel like if his English or my Chinese were better I would have gotten a more complete answer. But as it stood he simply restated “body type” with a firmness and solemnity that let me know these were profound words. “In your country, football is very popular, right?” Did he mean American football? I wasn't sure, but I nodded. “Body type,” he said again. 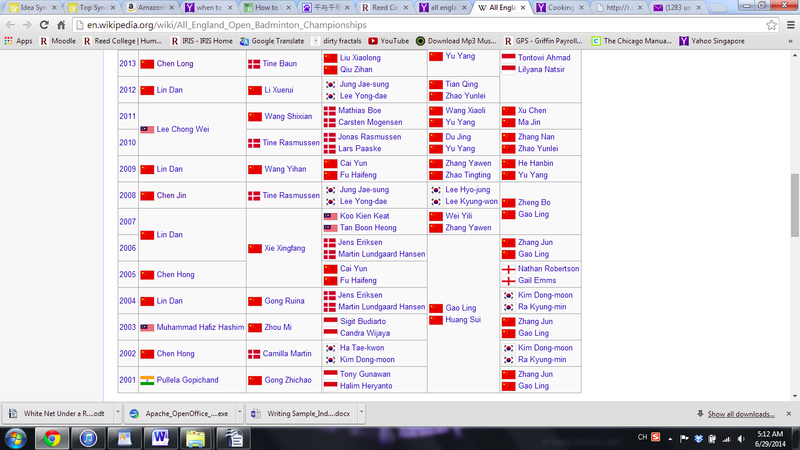 These kinds of answers may in fact be a large piece of the Chinese badminton puzzle. China has the resources and will to invest in sports, and badminton is, apparently, a sport they are particularly suited to. Of course, this doesn’t mean that Chinese are actually any inherently better or worse at badminton, but that the widespread belief in such an advantage may have precipitated greater attention for the sport. Could such a “badminton advantage” have attracted Chinese investment in the sport, leading to their present competitive monopoly, while other sports were deemed fruitless? At this point, I feel it will be useful to return to our interview with Dai Jinbiao—if anyone has a great perspective on badminton’s footing in the Chinese sports world, it is him. As I sat drinking $5.00/cup tea straining my ears to keep up with the conversation, Dingyi, Coach Ma, and Dai Jinbiao did most all the talking. One of the first questions I had prepared was about badminton’s early history in China, and when Dingyi presented it to the professor I got least one concrete answer as to how badminton has grown as large as it is now. Professor Dai filled in a picture I had been steadily constructing with synoptic histories in books and on the internet—that the sport matured in Britain in the late 19th Century and made landfall in China, as it did throughout Asia, in the 1920’s. The sport slowly grew in popularity in Shanghai and other big coastal cities, though play was generally confined to upper-middle class Chinese and foreigners. At this time, Europe dominated almost all competitive international play, though by the 40’s and 50’s Malaysia and Indonesia, the most enthusiastic Asian recipients of the sport, were catching up. China’s key period of development was also during the 1950’s, when several waves of Indonesian-Chinese players migrated back to the People's Republic and spread racket techniques, training methods and strategy. The sport managed to flourish under the PRC’s intensive team training practices until, in 1965, the Chinese surprised the badminton world in their uniform victory over the Danes in 24 singles matches. Badminton in China would nose-dive along with all other sports at the onset of the Cultural Revolution, but it was nonetheless clear at this point that China was an established contender on the world scene. Without this early import of skill and technique from the Indonesians, it is possible that badminton in China would have been stunted for decades more. That is at least one practical historical reason badminton thrives today in China. But what did Dai Jinbiao have to say about this elusive question of body type? As it turns out, the trainer of the coaches of the National Team believes body type means virtually nothing when it comes to badminton as long as you are in a fairly average height range—maybe 5’6” to 6’3” for men. If anything, he believes Europeans and Americans probably produce more players who have been around the statistical height average for professionals than Asians. And while the Asian superstars Lee Chong Wei and Lin Dan are somewhat short, plenty of top ranked Chinese singles players such as Bao Chun Lai (6’2”), Chen Jin (6’) and Chen Long (6’2”) are quite tall. In the final analysis, while physical fitness means the world in badminton, body type itself simply does not matter very much. This in itself is no insignificant conclusion however, because if Chinese players have, or are perceived to have, congenital shortcomings when it comes to other sports, badminton could be seen as a purely level playing field on which to develop expertise. And if indeed the mere belief in the Chinese (or Asian) “badminton advantage” has had great currency in people’s thinking, than as a self-fulfilling prophesy this belief could have influenced badminton development as well. In asking why badminton is much more popular and competitive in China in comparison to a sport like tennis, I think we need to ask a few basic questions about each of the sports themselves: When did the sport first arrive in the country and what sort of history has it had since then? What sort of coaching resources and skill pool has it had to work with? What perceived inherent advantages and disadvantages among players are there? And finally, what is the general citizen’s level of enthusiasm for the sport? This last question is important. After all, if the National Team sweeps all the medals at an international tournament, this will fuel enthusiasm for the sport among amateur players, and if the number of amateur players and fans grow, this will provide more money and support for the Team, and add to the pool of young potential professionals. This dynamic is particularly relevant to Chinese badminton, where recreational participation is so vibrant and widespread. The sport may have a large professional sphere, but it is not necessarily a professional’s sport, as diving or shooting may be. Rather badminton is played by a massive range of people in a variety of settings and often for quite humble reasons. This brings me to a final, and in a way, quite simple question: what attracts the average Chinese person to play badminton? I have talked a lot about large nationalist narratives and issues of Chinese identity, but now I will let the sport speak for itself. What raw qualities does badminton possess that account for its huge popularity? First of all, I think there is at least some plain and simple factor of fun to be considered. Anyone who has played badminton, in the US, in China, or anywhere, can surely acknowledge the visceral pleasure of swapping a flying shuttlecock out the air. The fun of a coordination challenge is of course not unique to the sport of badminton, but what may be unique is its accessibility. In badminton, the racket is light, the shuttlecock flies slowly (at beginning levels of play anyway) and you don’t need any kind of large team to participate. The sport is anything but intimidating. Thus in the same gym you can see kids so small they drag their racket when they walk, and 72 year old men who can still *crack* the bird surprisingly well. Moreover, badminton is awesome exercise. As Dai Jinbiao himself elaborated on at length, badminton’s range of movement and scope of shot choices is quite large, which means you are exercising and stretching nearly your whole body when you play, especially your back and legs. This variety of movement and aerobic potential holds great interest for the white collar worker or student who sits at his or her desk all day, hunched over books or a computer. While the sport is incredibly physically demanding at higher levels of play, players at lower levels can play as much or as little as they want without too much investment or risk. Whether you are the once a week young couple, the after work businessman, or the young athlete looking to climb the competitive ladder as quickly as possible, badminton promises a place. Considering these raw qualities, I have often joked with myself that the question of why “everyone is crazy about badminton here” is not as important as the question of “why aren’t people crazy about badminton everywhere else?” But perhaps that is just my own bias and love for the sport shining through. 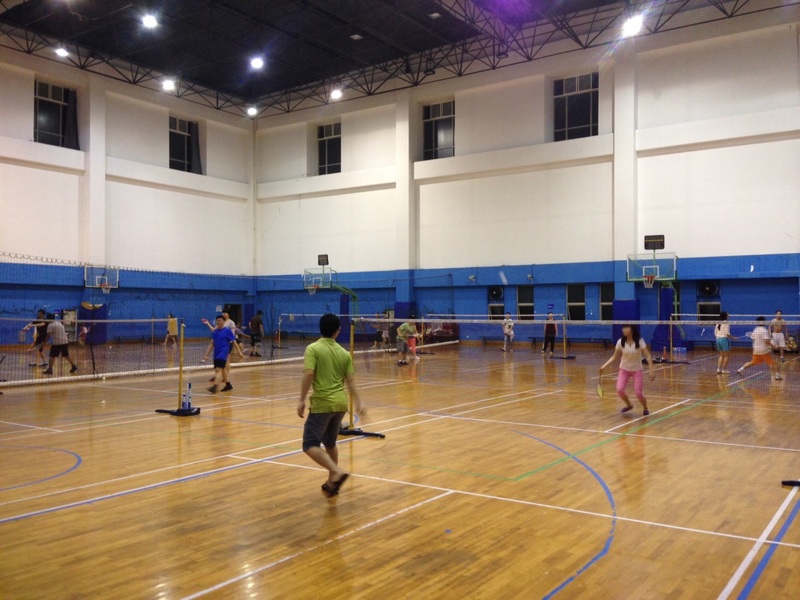 Regardless, it seems that badminton has benefited from three key ingredients on its journey to being a nationwide sensation in China: fortuitous early migrations of skill, status as a particularly “suitable” sport and widespread participation among amateurs who love the sport for all it has to offer. When the hour and a half long interview with Dai Jinbiao ended, I never thought that a group of people could talk so seriously for so long about badminton (and indeed, I never thought I could write so much about it!). But I think the very fact that I could talk to a badminton professor—someone who studies the sport for living, and has graduate students who are members of the National Team—warrants curiosity in this particular Chinese phenomenon. I have by no means gotten all I can out of the 90 minute recording with Professor Dai, and indeed many of my questions about this subject are still left to explore. In following blogs I hope to investigate—What sort of life does the professional badminton athlete lead in China? What class or societal status do athletes enjoy (how much money do they make? ), and what kind of expectations do they shoulder? Are professionals idealized and emulated by fans and the youth? How has commercialism intervened in the nationalistic Chinese sports world in the past several decades? —these questions and more. This coming week I will jump on the bullet train for a ride from Shanghai to Beijing—where I will hopefully visit and stay at Beijing Sports University. I'm looking forward to the opportunity to talk to more recreational players as well as meet the university's badminton majors (if there are badminton professors, then there must be badminton majors!). And if all goes well with my wrist, I'll be able to play with them too. I am in indebted to Dingyi for her continuous help, as well as Coach Ma, Eleanor, Professor Dai, all the players, teachers and students who participated in interviews and of course, Reed for giving me the chance to do this project.